The Gay Gamer: Happy 15th anniversary, Animal Crossing! Excuse me for sharing this story again, but Animal Crossing first hit North American store shelves 15 years ago today, so I think it bears repeating. Before Animal Crossing was released in my neck of the woods on Sept. 15, 2002, I was only mildly curious about the GameCube. I found early titles like Luigi's Mansion, Pikmin, Super Mario Sunshine and Super Monkey Ball awfully appealing, but not appealing enough to purchase the disc-based successor to the Nintendo 64. Even Animal Crossing's initial release didn't prompt me to pick up a GameCube--despite my keen interest in the game. No, it wasn't until a year later, when Nintendo dropped the GameCube's price to $99 and published a "Player's Choice" version of this adorable life sim that I jumped in with both feet. The rest, as they say, is history. I still fondly remember my gaming setup in those days. My husband and I lived in a tiny apartment (just 450 square feet, at most) in Madison, Wisconsin, at the time, so I after my silver GameCube and a copy of this game arrived on our doorstep I promptly tucked both of them and a similarly tiny TV into one of the corners of our bedroom. I played Animal Crossing whenever I could from that moment forward. In fact, I'd go so far as to say I quickly became obsessed with it--checking in on my big-headed, stubby limbed avatar (a pink-haired girl, if I'm remembering correctly) at least once, and often a couple of times, a day. At some point, many months down the road (maybe eight, but definitely not 12), it all became a bit much and I walked away from my first Animal Crossing town and all of its anthropomorphic inhabitants cold turkey. That's actually become a tradition for me with this long-running series. 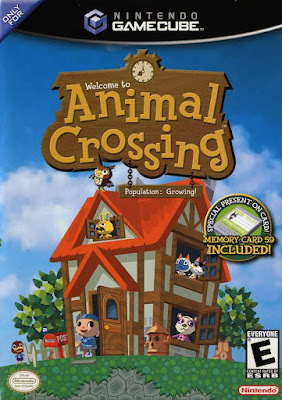 Every Animal Crossing game I've tackled since this GameCube iteration has fascinated me to the point that I played them daily until I felt I either had to walk away without a backward glance or risk my sanity. As much as I've enjoyed all of those subsequent titles--New Leaf, especially--none has matched the original. Yes, the first Animal Crossing (at least as far as folks outside of Japan are concerned) is by far the most antiquated, but I also think it's the most focused. My affinity for this Animal Crossing's simplicity probably explains why it's the only entry in the series I've ever returned to--and not just once, but multiple times. I'm sure that will remain true even after the inevitable Switch title drops next year or the year after, no matter how great the latest sequel is. How about you? 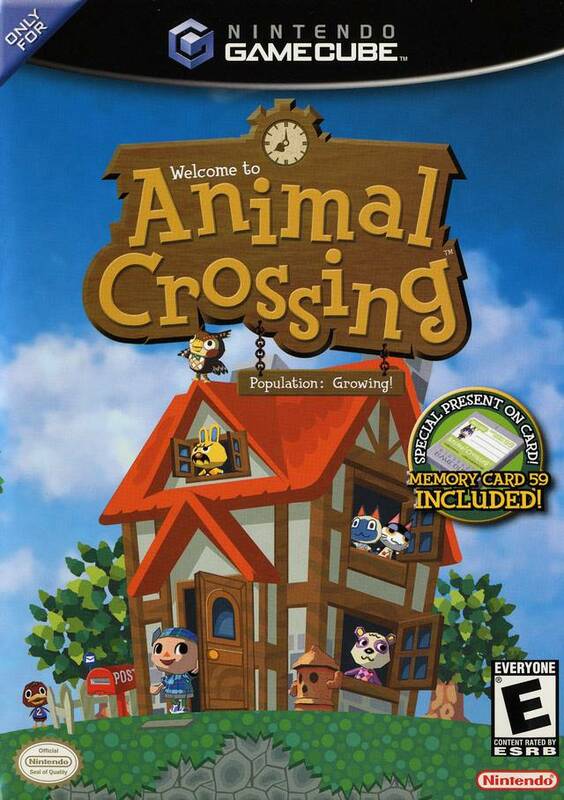 Do you return to Animal Crossing for the GameCube now and then? Or do you have particularly fond memories of your only playthrough of this one-of-a-kind experience? If so, share some of them in the comments section below.